Get plenty of sunshine in Alyce 2650. This adorable net party dress blossoms with rose gold sequin flowers, and a delightful sequin scalloped hem. The strapless sweetheart bodice has an open back, with zipper closure. The short, full, A-line skirt is cinched with a satin empire waistband. 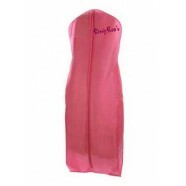 Make a sweet entrance in this dress at a graduation party, homecoming dance, wedding, or birthday celebration.